Mark 12 tells us that a scribe saw Jesus talking with some Pharisees and Herodians, and heard them reasoning together. Perceiving that Jesus "had answered them well," the scribe, who was knowledgeable in the whole of the texts of the Jews asked him, "Which is the first commandment of all?" ... "The first of all the commandments is, Hear, O Israel; The Lord our God is one Lord and thou shalt love the Lord thy God with all thy heart, and with all thy soul, and with all thy mind, and with all thy strength: this is the first commandment." And the second is like it, namely this, "Thou shalt love thy neighbour as thyself. There is none other commandment greater than these." In his first response above pertaining to the direction to love God, Jesus was referencing the first commandment, recorded in Deuteronomy 6:4, "Hear, O Israel: The LORD our God is one LORD: 5 And thou shalt love the LORD thy God with all thine heart, and with all thy soul, and with all thy might." These are the words that begin the Shema which is the primary declaration of faith of every practicing Jewish person. The first part, "Hear O Israel, the Lord our God, the Lord is One", is the most famous statement of all in Judaism and it is said, is the first statement Jewish teachers instruct their students to recite. The second commandment of Jesus is based in Lev. 19:18 "Love your fellow as yourself"; it reflects the primary striving of every Jewish person; this particular statement is said to encompass all of the Spiritual Law of Judaism. According to the Tulmud*, a religious text written by rabbinic scholars, pertaining to Jewish law, ethics, customs, and history, originally, the Shema consisted only of the one verse of Deuteronomy 6:4, "Hear O Israel, the Lord our God, the Lord is One." These first words mean "to heed, or listen and obey." Inherent in the phrase is the truth that there is only One God over all. While it is not known exactly known when the Shema came to include other verses, it is at the least of ancient biblical origin; Moses included the Shema in his farewell address to the Jewish people. All of the verses of the Shema come from the what the Christians call the first five books of the Old Testament and what the Jews call the Torah. 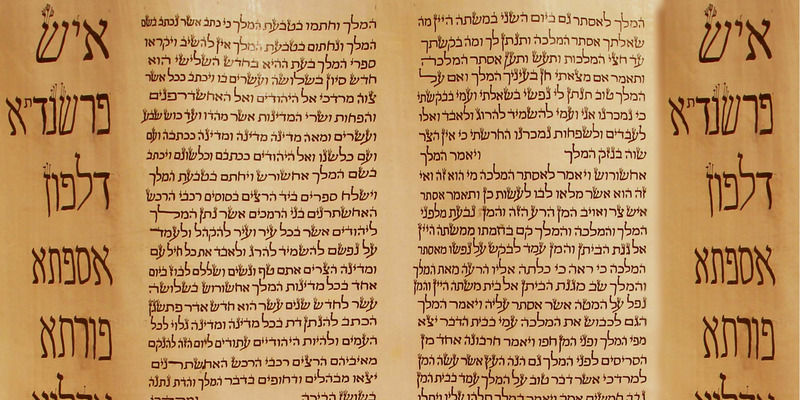 In the Jewish Tradition the Torah is considered to be the holiest of the biblical books. The remainder of the Shema may or may not have been spoken by Jesus as a unified confession of faith, however he would have certainly known and taught concerning these scriptures, if not together then at least individually. The fullness of the Shema consists of excerpts from Numbers, as well as Deuteronomy: Deuteronomy 6:49, 11:1321, and Numbers 15:3741 (Read the Full Shema). In the recitation of Deuteronomy 6:4, many Jews of today pause after the first words "Hear O Israel, the Lord our God, the Lord is One" and insert into the Shema before continuing: "Blessed be the Name of His glorious kingdom for ever and ever." In asking Jesus the question "Which is the first commandment of all?" the scribe in the New Testament bible story above, was testing Jesus' knowledge of the Ancient Commandments and testing the quality of his faith and love for the Hebrew Tradition? He was seeking to know if Jesus was teaching something counter to Judaism or if was teaching Judaism; this was the real question. The second teaching Jesus stated "Thou shalt love thy neighbour as thyself" has became known as "The Golden Rule"; it is written in Lev. 19:18 as "Love your fellow as yourself". Religious Tolerance.org asserts that the Ancient Egyptians may hold the record for the first written record of The Golden Rule where it is stated "Do for one who may do for you, that you may cause him thus to do." The page cites, "The Tale of the Eloquent Peasant, 109 - 110 Translated by R.B. Parkinson" and states, "The original dates to 1970 to 1640 BCE and may be the earliest version ever written." The Golden Rule seems to predate both Judaism and Christianity and thus it is a universal principle; in any event it is at the core of every major religion. Principal philosophers and religious figures have stated it in different ways. "Hurt no one so that no one may hurt you." Seek for mankind that of which you are desirous for yourself, that you may be a believer; treat well as a neighbor the one who lives near you, that you may be a Muslim [one who submits to God]. "That which you want for yourself, seek for mankind." During the childhood days of Christ Jesus, when King Herod and the Roman Emperor Augustus ruled, a Jewish teacher named Hillel lived in Jerusalem. He taught for approximately forty years during the period between 30 BCE to circa 10 CE. It is possible that Jesus met him and even learned from him, as Hillel was a famous teacher with his own school. Renowned within Judaism as a sage and scholar, Hillel was the founder of the "Beit Hillel" ("House of Hillel"), a school for Tannaïm (Sages of the Mishnah) and the founder of a dynasty of Sages who stood at the head of the Jewish Community living in the land of Israel until roughly the fifth century of the Common Era. Hillel was one of the most important figures in Jewish history. He is associated with the development of the Mishnah and the Talmud, commentaries written by scholars concerning the meaning of the Torah: the first five books of the Bible. As it was a great center of Jewish learning, Hillel no doubt visited Sepphoris on occasion, only four miles from Jesus' home of Nazareth and about seventy miles north of Jerusalem. Sepphoris was equal in size to the city of Tiberius and was famously known as the Jewel of Galilee. "If I am not for myself, who will be [for me]? And when I am for myself, what am 'I'? And if not now, when?" "What is hateful to you, do not do to your fellow: this is the whole Law; the rest is the explanation; go and learn" (Shab. 31a). With these words Hillel spoke of the fundamental principle of Jewish moral law, the Biblical precept of brotherly love. Love of man was considered by Hillel as the kernel of the entire Jewish teaching. ....The exhortation to love peace emanated from Hillel's most characteristic traits  his meekness and mildness are of legend and his standing as a righteous and loving human being have become proverbial, as is seen from the saying: "Let a man be always humble and patient like Hillel..."
The teaching to love your neighbor as yourself was inherent in the teachings and faith of Jesus. And it was a teaching that Jesus demonstrated throughout his ministry through his activities; the teaching to love others was fundamental to his entire ministry. Jesus kept the Hebrew Commandments as a covenant with God and taught them to us that we might develop a spiritual discipline that puts the principle of Loving God first in our lives and following, the demonstration that we love God through our activities towards one another. If we love God first, all else follows, for the love of God inspires us to love others. In teaching us so, Jesus was in keeping with teaching the most ancient of the commandments and in keeping with the Divine Principles at the foundation of all of the World's Great Religions. Jesus' teaching was not a new teaching nor was it confined to Judaism; if we look to the religions of the world we may find this teaching at the base, in one form or another, of every religion. In that sense he was a world teacher. All of the great traditions teach that "We are to Love God" and "Love our neighbor as ourselves." Through the Heart we may come to know the Love of God through the Heart we may become the Love of God.